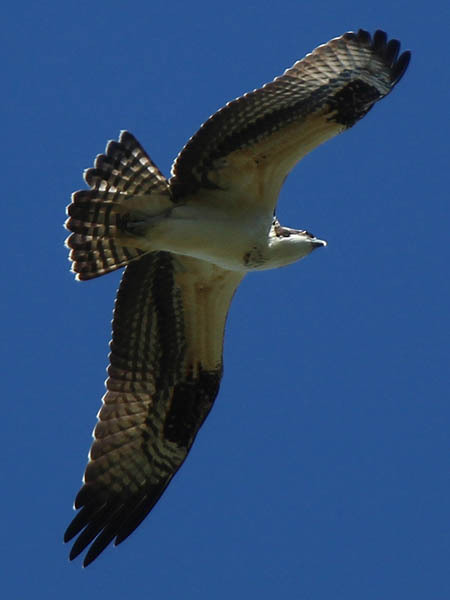 This Osprey was observed conducting a halfhearted hunting survey over the old fish hatchery just below the Lewisville Lake dam. 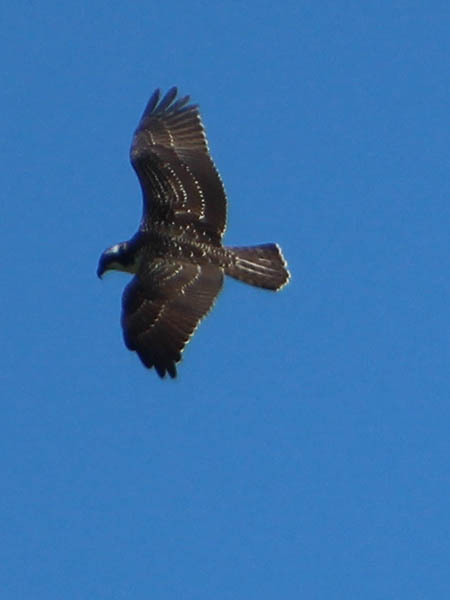 The big raptor circled around and around covering the vast majority of the property as he did. I at any moment I expected to see him dive for the water in one of the holding tanks, but that moment never came. 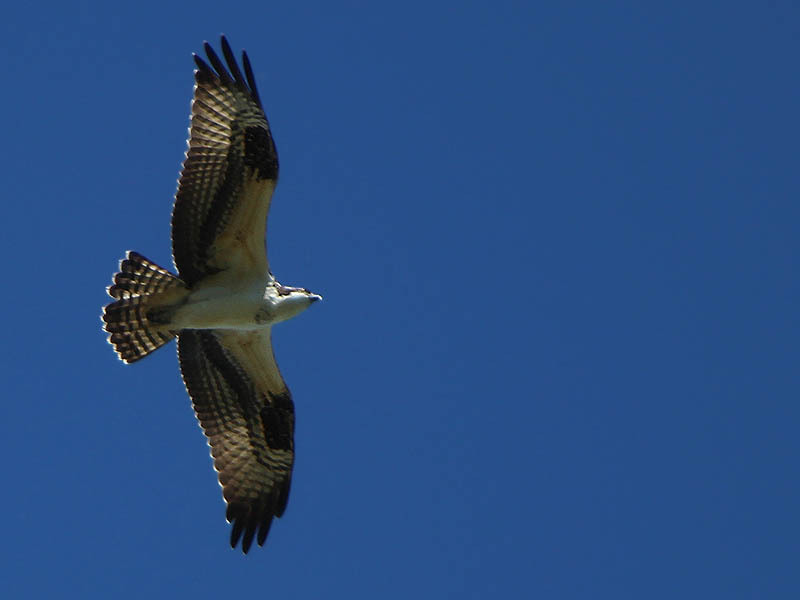 The Osprey did do me the favor of a brief low altitude overfly allowing me my best opportunity for photographs before he turned tail and headed north towards the dam and the lake. 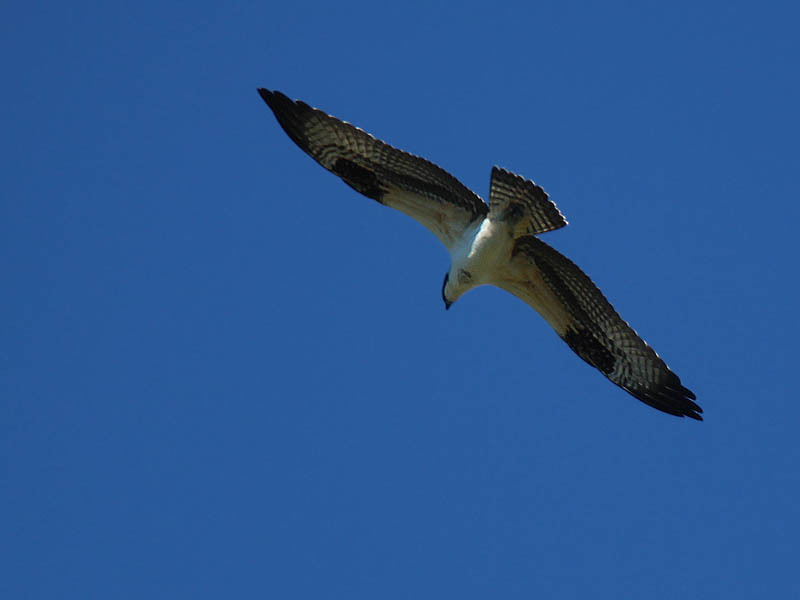 While I watched him fly away, another Osprey far to the west and following the river caught my eye. 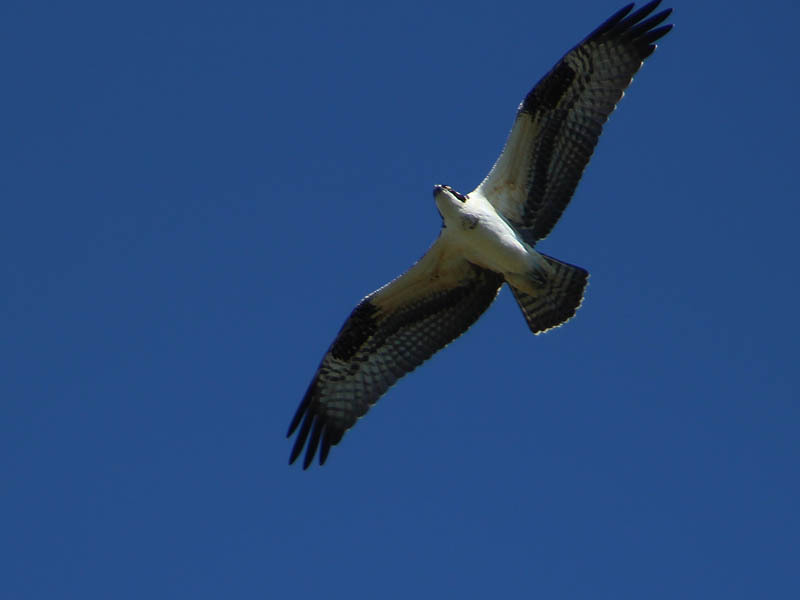 This bird was carrying a large fish in his talons while heading south. 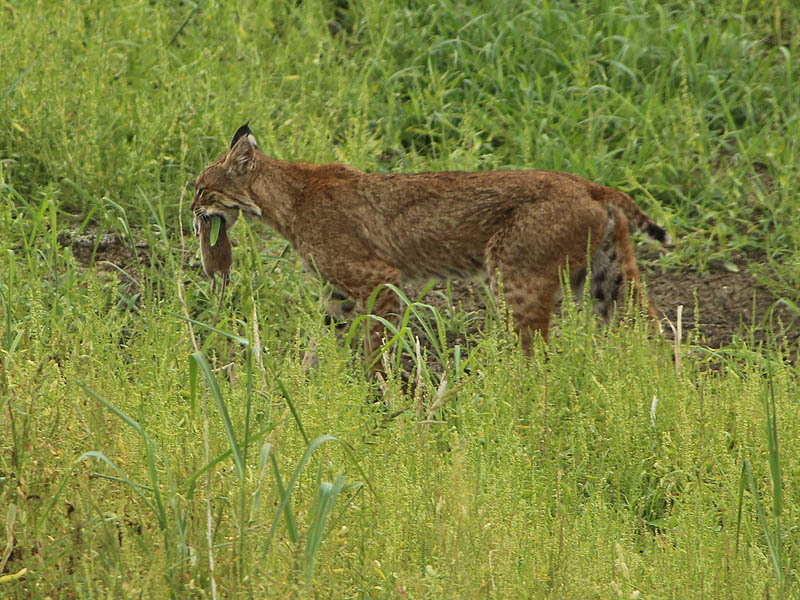 Apparently, he had better luck fishing the lake!